Toyota USA was established on October 31, 1957. Thirty-two years later, in October of 1989, it would change the face of the automotive world once again. 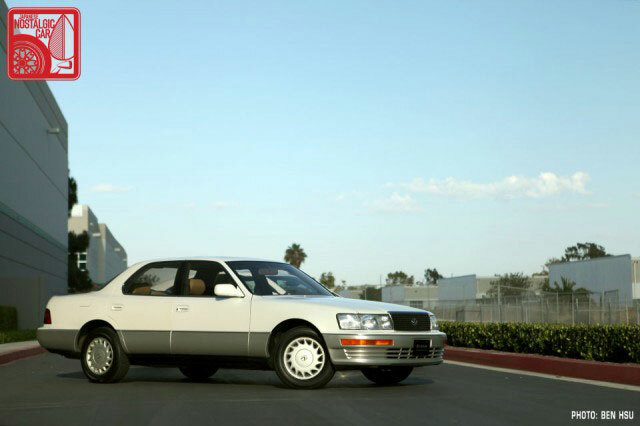 The Lexus LS 400 is officially a Japanese nostalgic car. This level of fanaticism honed the car at every stage. While most models go though five or six full-size clay models, the LS’s chief engineer Ichiro Suzuki commanded 14. Over 100 were crash tested. A whopping 450 test mules were built, and 2.7 million test miles were driven before the first LS even rolled off the assembly line. corradoMR2: Best car ever in the world for its time. As a teen, it's what ignited my passion for the brand!